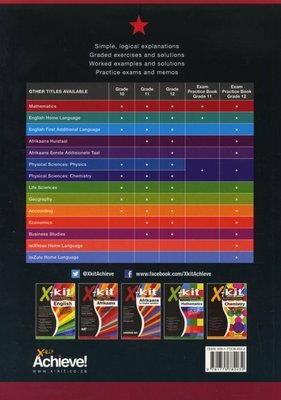 Packed with graded exercises and worked solutions, X-kit Achieve! 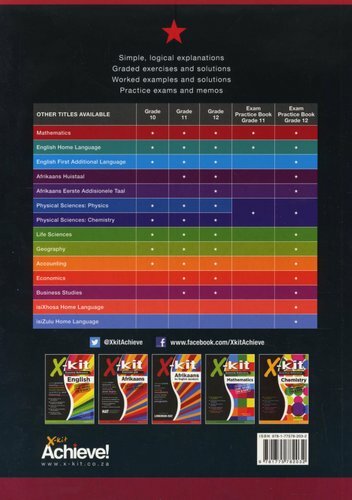 Mathematics Study Guides let learners assess and improve their Maths skills in carefully structured exercises requiring them to practise the basics, apply their skills and solve problems. Concepts are explained in simple language and demonstrated, step-by-step, in worked examples. 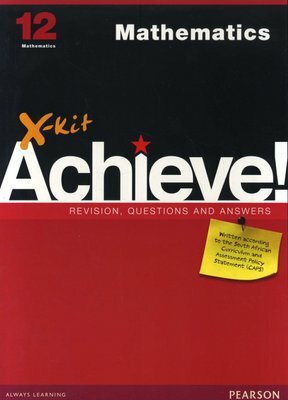 Mixed exercises and practice exam papers and memos prepare learners for tests and exams.